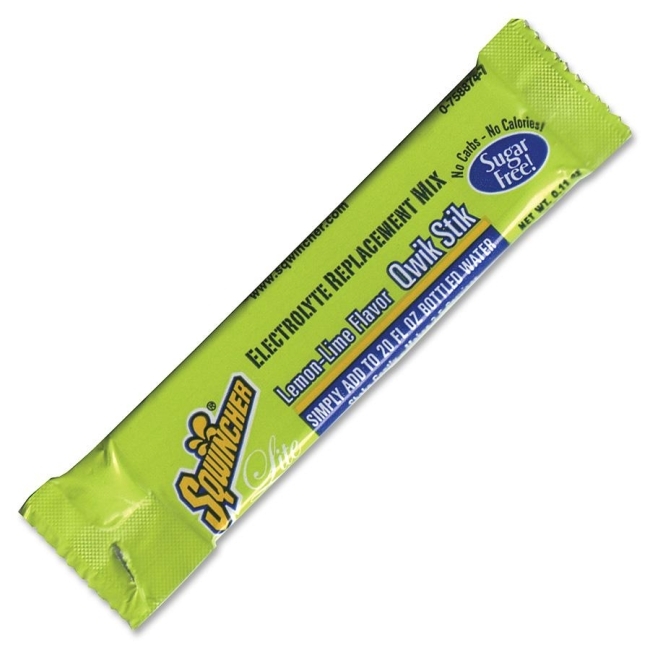 Electrolyte-replacement powder mix makes a great-tasting drink that offers the same great taste and electrolyte content as pre-made Sqwincher, the activity drink. Simply tear open the convenient, single-serve pouch, add to a 20 oz. bottle of water, shake and enjoy. 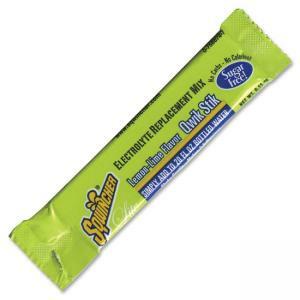 This powder with Lemon Lime flavor is high in potassium and low in sodium and contains no calories, caffeine or sugar. With an optimal blend of electrolytes, this isotonically balanced drink will help you refresh and refuel. When you need your body to get hydrated quickly in extreme temperatures, an isotonic drink is best. Water replenishes your liquid level, but doesn't help you put lots of valuable substances back into your body that you need, like magnesium and potassium. Sqwincher is isotonically formulated so your body absorbs the hydration it needs quickly and easily.